In the opening shot of William Wyler’s The Best Years of Our Lives (1946), Captain Fred Derry walks into an airport terminal in hopes of catching a flight home to Boone City, USA. Upon reaching the clerk at the counter, Fred is told there is a several day wait for a commercial flight, even though he’s a returning war hero who’s been away for years. A wealthy middle-aged businessman charges up next to Fred, interrupts the conversation with the airline clerk, and confirms his seat on the next flight regardless of the extra cost. He barely acknowledges Capt. Derry, no nod or a “thank you for your service.” The air is thick with rotten apathy, and it’s this scene that signals the audience is in for a different kind of war movie. William Wyler, himself a WWII veteran, saw America’s shift in attitude immediately following the war. The wells of patriotism had been tapped dry, and those who kept the fires burning on the home front were tired of making sacrifices. Once the servicemen returned home, the warm welcome was short lived. After fighting for years in the Pacific and Europe, these soldiers were expected to resume life as normal almost immediately. Definitely easier said than done. 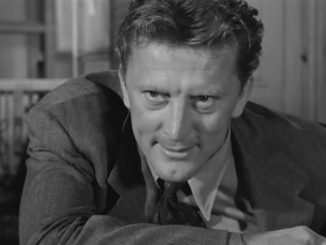 The transition back to civilian life was difficult for many of the soldiers displaced by the war, and William Wyler wanted to pay tribute to their post-war struggles. 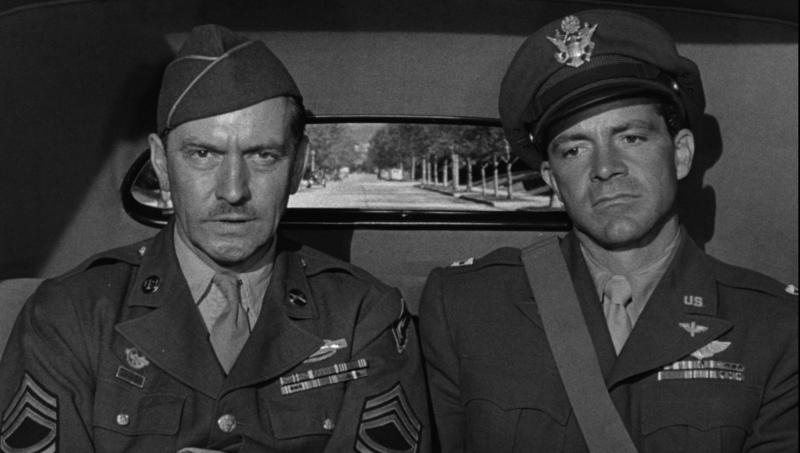 The Best Years of Our Lives follows the homecoming and initial period of adjustment of three servicemen: Air Force Captain Fred Derry (Dana Andrews), Army Sergeant Al Stephenson (Fredric March), and Navy Petty Officer 2nd Class Homer Parrish (Harold Russell). When Fred is turned away from the ticket counter at the main airport terminal, he makes his way over to the Army Air Forces Air Transport Command terminal. It’s here that Fred meets Homer, who acts a bit tired and withdrawn. When Fred and Homer are called to the counter because their flight is boarding, each one has to sign a form. Homer, whose hands have been in his pockets up to this point, reveals that he has a shiny pair of Navy-issued hooks. Without skipping a beat, he grabs a pen and signs the document. Homer’s family rushes out to greet him, and his little sister runs next door, calling out for his girlfriend Wilma (Cathy O’Donnell). Some of the hedges in between the two houses are worn down, as you can imagine both Homer and Wilma going back and forth in happier days. Wilma couldn’t be happier to see Homer and immediately kisses and embraces him, but Homer keeps his arms to his side– something that Wilma can’t help but notice. The cab pulls away taking Fred and Al to their next stop. Homer raises his arm to wave goodbye, giving his family their first glimpse of the one thing they aren’t quite ready to face. The Best Years of Our Lives was adapted for the screen by Robert E. Sherwood and based on a novel by MacKinlay Kantor. 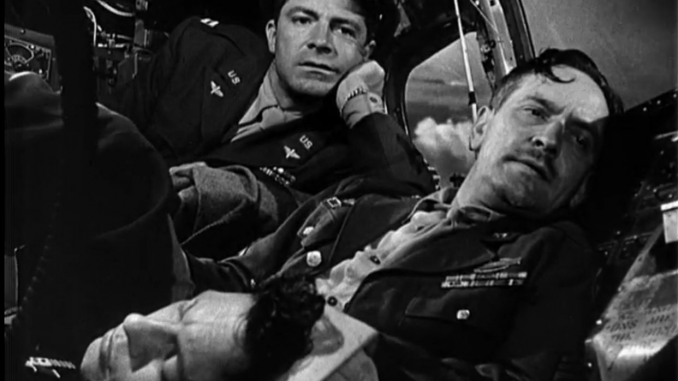 For the film, Director William Wyler and Sherwood chose three men of different ages, different branches of the military, and different socio-economic situations. You have the former quarterback Homer with his family literally straight out of a Norman Rockwell painting. Al is a banker, solidly upper-middle class, and enjoys a spacious condominium downtown. Fred, the former soda jerk, comes from a poor background, with his home being a hovel under the railroad tracks. His father, likely a Forgotten Man of WWI, is an alcoholic. His step-mother, one of the nicest women in his life, probably has a questionable past. Once enlisted, the three servicemen find their lives jumbled, with Al becoming a sergeant in the Army, Homer relegated to the midship, and Fred becoming a decorated bombardier. Now that they’ve returned home, the men are suffering from a bad case of whiplash. For example, Al’s view of banking has been drastically altered with him now valuing people who work with their hands for a living. He copes with the horrors of his past service and the apathy he sees with his banking colleagues by drinking heavily. Fred has to come to the harsh realization that his citations and ribbons mean nothing in the civilian world and that it’s back to the soda fountain to make (barely) a living. On top of this, Fred has haunting flashbacks, what we would today identify as post-traumatic stress disorder (PTSD). Homer faces the hardest adjustment because of the physical transformation in the loss of both hands, and ultimately the loss of complete independence. He struggles with the burden he feels he’s placed on everyone who cares for him, especially his childhood sweetheart Wilma. There’s a sick irony in that the star athlete-turned sailor doesn’t even have the chance to face the enemy who took his hands from him. 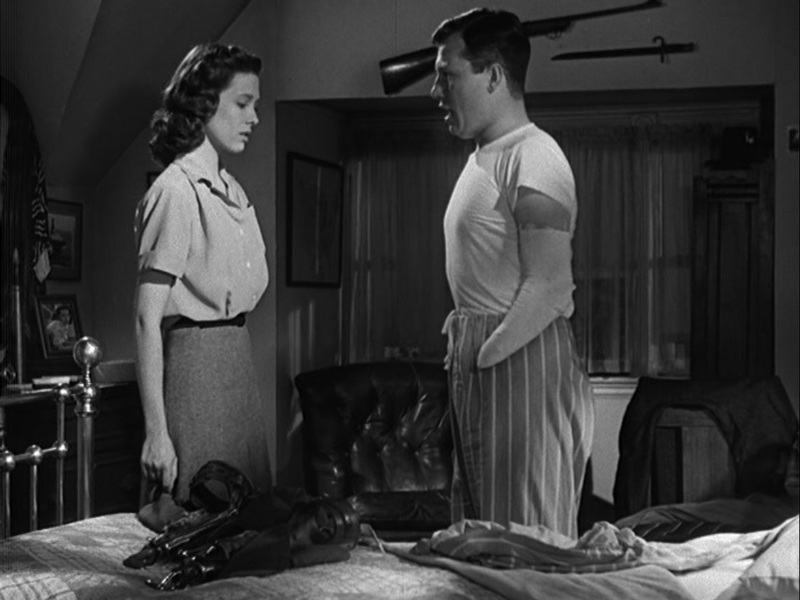 The Best Years of Our Lives won seven Academy Awards, plus a special Honorary Oscar for real-life veteran Harold Russell (who also won the Best Actor in a Supporting Role award). 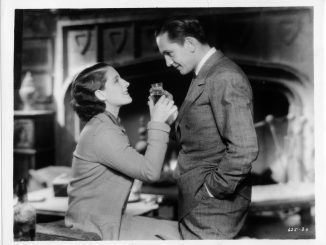 Fredric March won for Best Actor in a Leading Role, which was the second and final Academy Award he would win in his long career. Although he is often criticized as having a rather wooden acting style, Dana Andrews gives one of his greatest performances. It’s a shame he wasn’t recognized by the Academy for this performance. Although Best Years focuses on the three servicemen and their struggles, their story wouldn’t have the same impact without the women standing beside them. 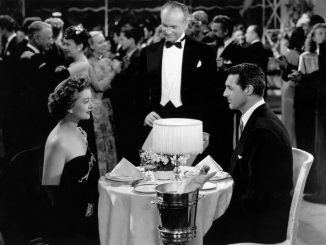 Myrna Loy’s Millie Stephenson has kept her family intact through many rough patches. Loy’s performance is understated, but brilliant. Teresa Wright is Al and Millie’s daughter Peggy. Like many during the war, she had to grow up fast. Peggy has a caring spirit and is drawn toward Fred. When he has nowhere else to go, Fred turns to Peggy for support. Although Homer pushes her away, Wilma is persistent, loving, and willing to do anything for him. Cathy O’Donnell’s performance as Wilma is one of the finest in the film. The rest of the cast is rounded out by excellent supporting turns from Virginia Mayo, Hoagy Carmichael, Ray Collins, Gladys George, and Roman Bohnen. The Best Years of Our Lives is currently streaming on Amazon and on blu-ray from Warner Bros. Home Entertainment. Great comments about a great movie!